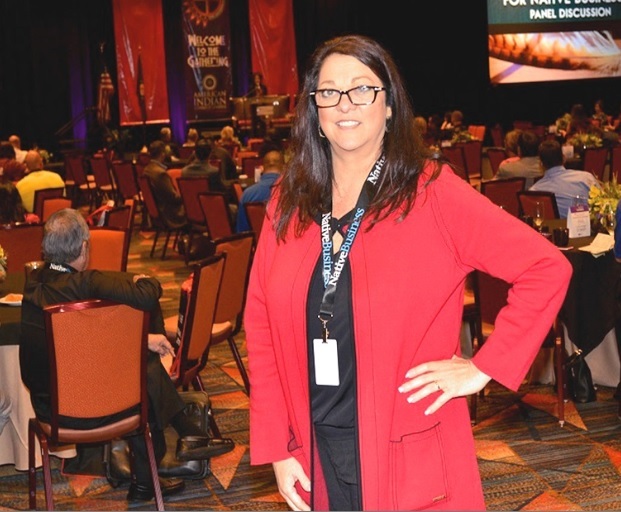 Annetta Abbott, executive director of the American Indian Chamber of Commerce of Oklahoma, oversees The Gathering at the Choctaw Casino & Resort in Durant. 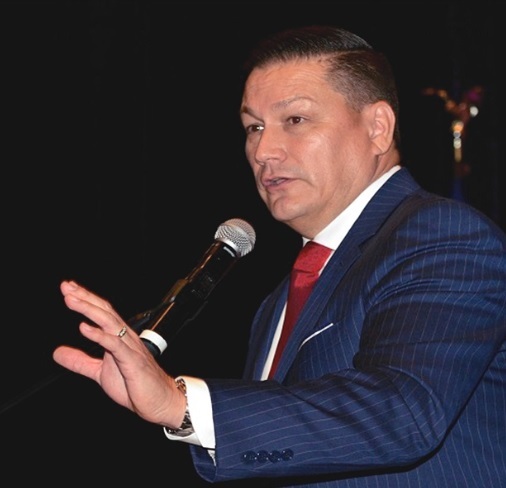 DURANT, Okla. –When The Gathering, the annual meeting of the American Indian Chamber of Commerce of Oklahoma (AICCO), convened Oct. 7-9 at the Choctaw Casino & Resort in Durant, it was on a roll. Expansion over the past year was up to six chapters, including two within the Choctaw Nation service counties, Durant for Southeast Oklahoma and its newest, in Poteau. 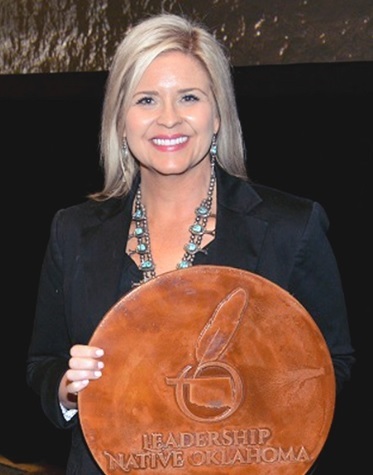 Bailey Walker wins another term as president of the American Indian Chamber of Commerce of Oklahoma. The annual meeting, the organization’s most prominent of the year, provides an opportunity for networking, education and to recognize outstanding efforts over the past year. “We have 250 in attendance from across Oklahoma,” said Executive Director Annetta Abbott, adding that some have even come from nearby states. Member businesses had an opportunity to spotlight their products and services in a vendors’ display where more than 40 booths were set up. AICCO also oversees Leadership Native Oklahoma. This year there were 42 participants in the community service training program, including six Choctaws: Erika Davis, Brandon Gambill, Michele Meza, Micah Shelton, Lindsey Treadwell, and Greg Willie. For membership information about the American Indian Chamber of Commerce in Oklahoma and Leadership Native Oklahoma, contact Annetta Abbott, 405-208-9253, annetta@aiccok.org or visit the website http://aiccok.org/. Gary “Litefoot” Davis, actor, rapper and businessman, motivates the audience at his keynote address. Lindsey Linney Treadwell, community relations manager for Mercy Hospital Ardmore, graduates with the Leadership Native Oklahoma Class of 2018. This message is intended only for the use of the individual or entity to which it is addressed and may contain information that is privileged, confidential and exempt from disclosure. If you have received this message in error, you are now notified that we do not consent to any reading, dissemination, distribution or copying of this message. If you have received this communication in error, please notify the sender immediately and destroy the transmitted information. Please note that any view or opinions presented in this email are solely those of the author and do not necessarily represent those of the Choctaw Nation.